From stunning glass, to subtle earth tones; from a simple waterline, to a raised spa wall. 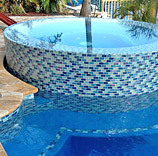 We will help you discover a pool tile that’s a reflection of your own personal style. 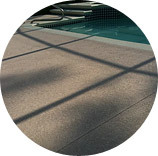 Orange County Pools & Pavers specialize in matching almost any material and seamlessly installing it so that the repair is undetectable in most cases. 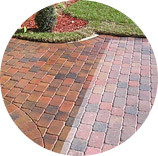 Protect your pavers from fading in the harmful Florida sun. Stop mildew, oil and other stains, eliminate tire tracks from vehicles and is skid resistant. Acrylic spray deck systems are available in many patterns & colors. 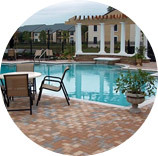 We can customize your pool deck, driveways, walkways and Lanai area to your complete satisfaction. We believe that as people become aware of the superiority of a segmental pavement and that as we continue to require our customer's overwhelming approval of our installations, Orange County Brick Pavers will continue to be a dynamic leader in an expanding industry. Browse through Belgard Commercial's detailed paver patterns to find the perfect pattern for your next project. Patios, walkways, pool decks, driveways, front entryways, etc. if a paving stone driveway, walkway or front porch gets you excited.